This is the compact (ninja?) 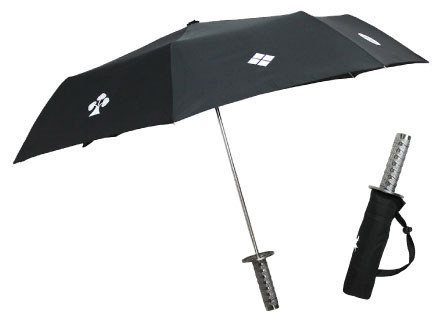 version of our samurai umbrella. It features the handle of a katana, a samurai sword, and the fabric bears the family crests of some of Japan's most famous samurai warlords. 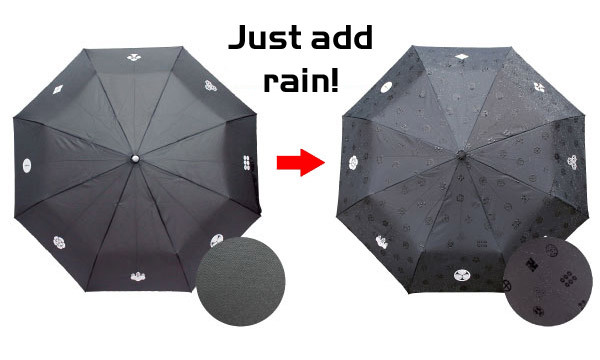 Add to that a generous 98cm span and a handy carry bag, and this umbrella will have you hoping for rain! TThis is the compact (ninja?) 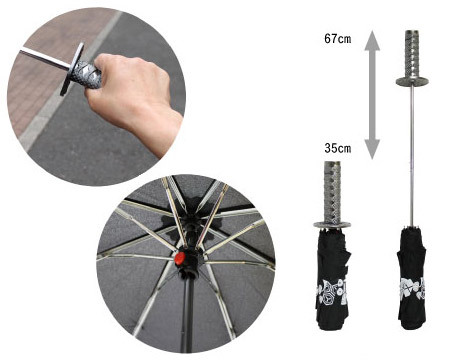 version of our samurai umbrella. It features the handle of a katana, a samurai sword, and the fabric bears the family crests of some of Japan's most famous samurai warlords.